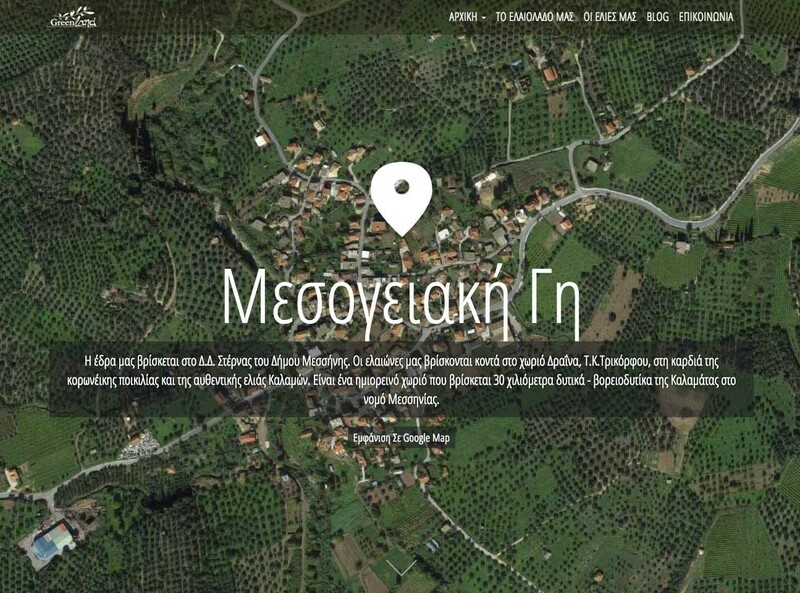 Green Land is a company, based in the land of Messinia, that produces high quality olive products. 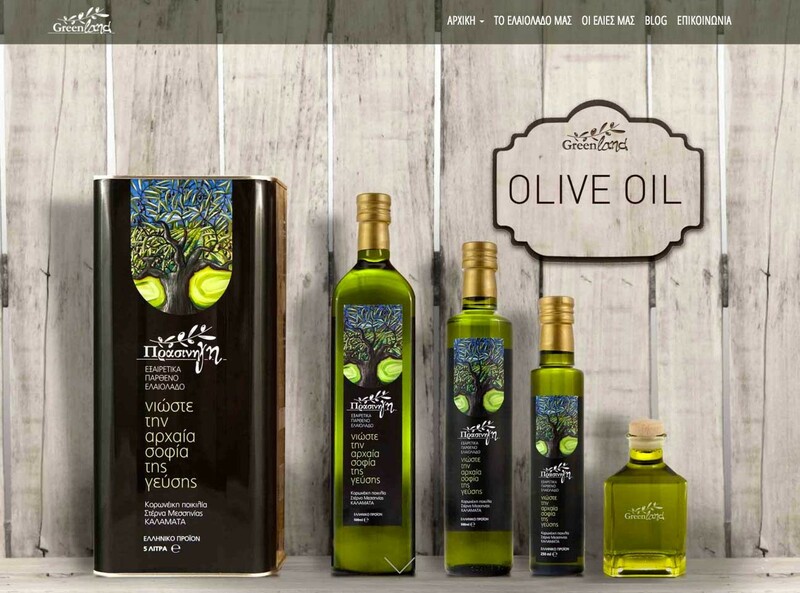 Having several years of experience in the area of olive trees cultivation, they standardised the process of producing tasteful olives and olive oil, using the traditional recipes. 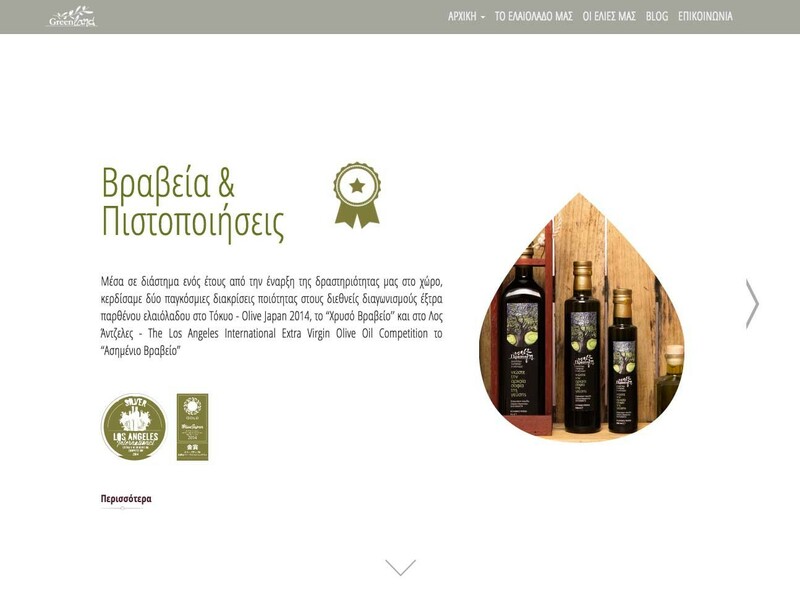 As a result, Green Land products have won two international quality excellence awards “Gold Winner” at the Olive Japan 2014 competition and “Silver Medal” at the Los Angeles International Extra Virgin Olive Oil competition. We have worked on the design and development of a contemporary website that will reflect the quality, the values and the history of Greenland company, both in Greece and abroad. The website is fully responsive and shows brilliantly in both desktop and mobile devices, utilizing the most recent web technologies. Special attention was given to the use of motion that will intrigue the visitor, without distracting or tiring them. Lastly, we undertook all the necessary performance tests in order to ensure that the website meets the speed and mobile-friendly requirements.